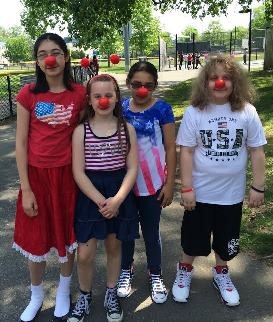 Medford:COLUMBUS ELEMENTARY SCHOOL ORGANIZES “RED NOSE” DAY! 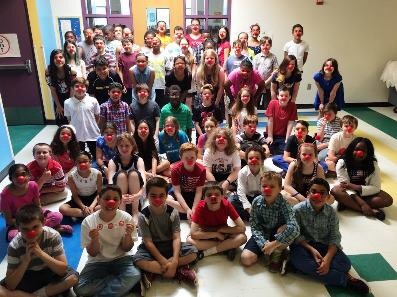 Fifth grade teacher Mrs. Collins helped to organize Red Nose Day at the Columbus Elementary School. The Columbus students, faculty and staff celebrated, along with the rest of the nation and Walgreens, in an effort to raise children out of poverty. 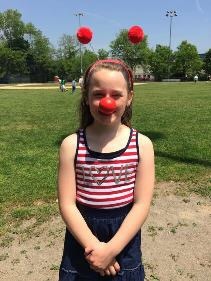 A fifth grade student, Caroline Anderson, had her mother purchase red noses for every student in the 5th grade. The entire school participated as well, raising quite a large sum for the cause. The fifth grade students also created posters to advertise the event ahead of time. “As always I am proud of the manner in which the Columbus School works together to help to improve the quality of life for all in our community”, said Principal Kathy Kay.